I deployed the 7Zip application to the “SMEvent” collection. 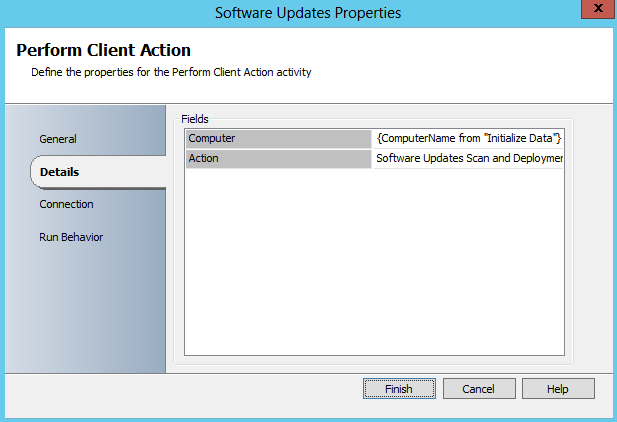 It’s not my intention to dive into SCCM right now, but just in case bellow are my settings for the Software Updates and for the Application Deployment. Long story short, since this is a brand new VM, and not yet in use I used the “As soon as possible + “Required” + “Allow restart outside business hours” combo. 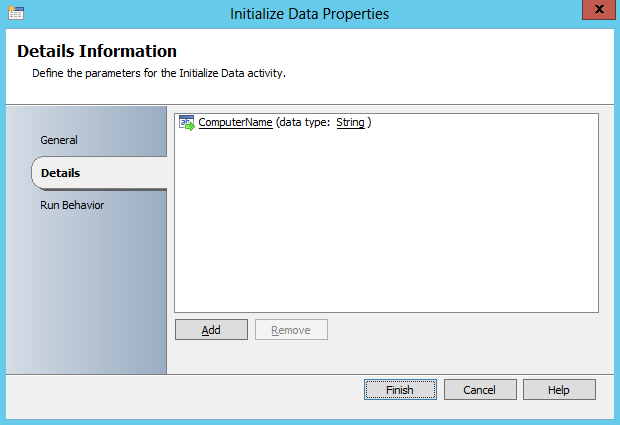 I started the runbook with an Initialize Data activity, where I defined the ComputerName parameter. 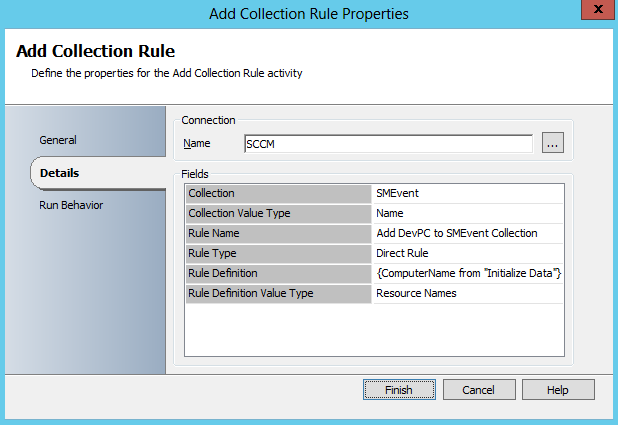 Next using the “Add Collection Rule” activity, we will add to the “SMEvent” collection, the computer received as a parameter . We are going to use the “Perform Client Action” activity three times. First, for our newly added computer we will force the process by updating the “Machine Policy Retrieval & Evaluation Cycle”. I also modified the link to wait 5 minutes before continuing, just to be safe that the Machine Policy is executed successfully. 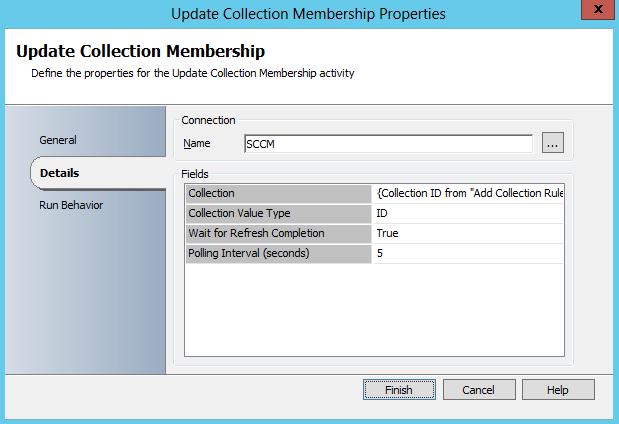 If you were to go with the full Orchestrator automation you could just create the collection with Orchestrator, add the computer to it, deploy the updates and the applications, wait for the restart and delete the collection. As I said, it’s up to you how much automation you really need in this scenario.